Wait, some celeb parents don’t want their kids to follow in their footsteps and become actors? Dax Shepard doesn’t understand. In an exclusive interview with SheKnows, Shepard explained that he thinks “a lot of parents seem hesitant about that, and I can’t fully understand why — because I’ve had a lot of ‘real’ jobs.” By that, he means, you know, jobs that pay minimum wage and don’t come with stylists and craft services. This is a guy who remembers what it’s like to wash cars for a living — and other jobs that demand hard, grueling, glamour-free work. “By my estimation, this is a very nice job,” Shepard said of his career as an actor. Shepard has two young daughters, 4-year-old Lincoln and 2-year-old Delta Bell, with wife Kristen Bell. And though he’s all for it if his kids decide they want to become actors, he’s not ready for them to jump into the spotlight quite yet. Not that Shepard and Bell live entirely pretend, glossy, Hollywood lives either. The couple has been open and honest with the public about the hard work they put into their marriage. Shepard says he and his wife were compelled to be so forthcoming about their personal lives because they didn’t want people to get the wrong idea — you know, the idea that it’s easy. Well, it seems like “put it in neutral and enjoy” may be exactly what happens when you find the perfect career — if that career is acting, that is. 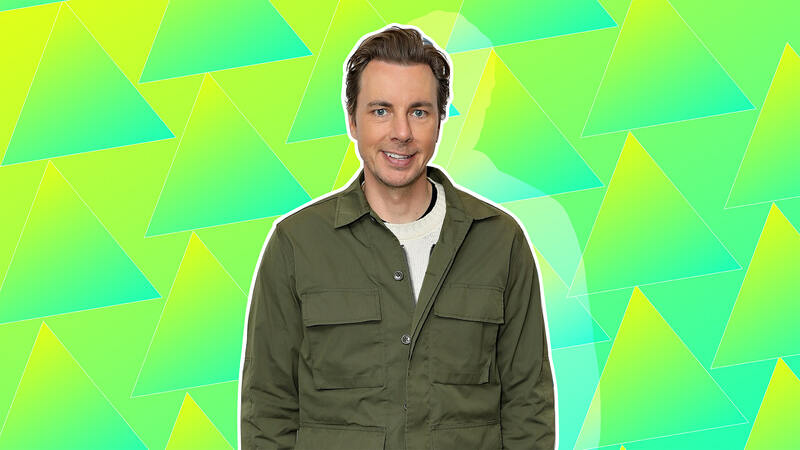 And if you’re as chill, cute and talented as Dax Shepard.